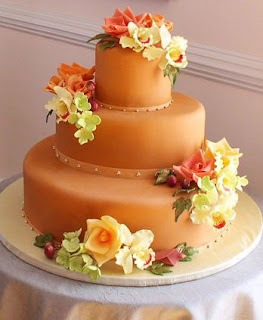 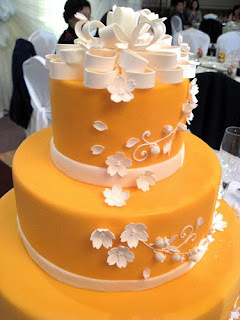 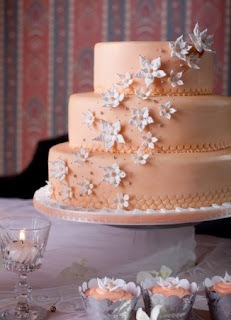 A few wedding cake ideas in the theme of round orange wedding cakes, lets begin! 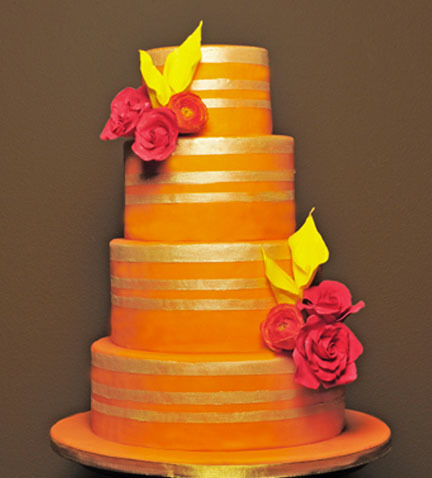 A stunning four tier wedding cake with pink roses and yellow calla lilies. 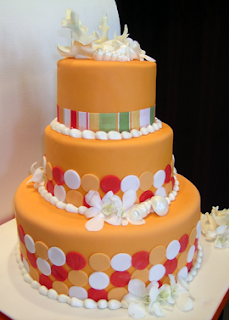 Modern and original three tier wedding cake decorated with white sea shells, gardenias and dark orange, orange and white circles decorating the bottom of the first two tiers. 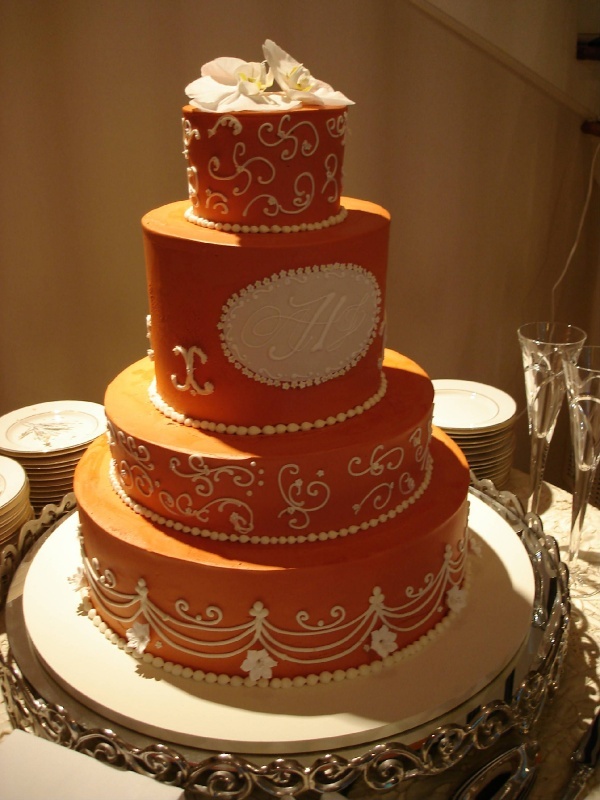 Ornate four tier wedding cake in a deep orange with monogram, white swirls and white flowers. 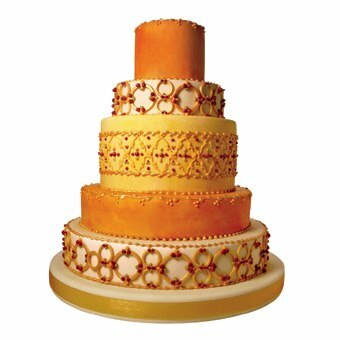 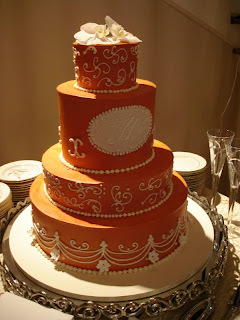 Fancy and ornate orange wedding cake with delicate elaborate patterns. 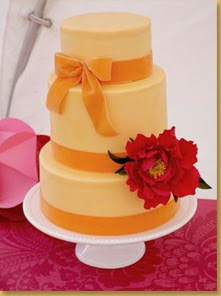 Classic and elegant three tier wedding cake with velvet bow. 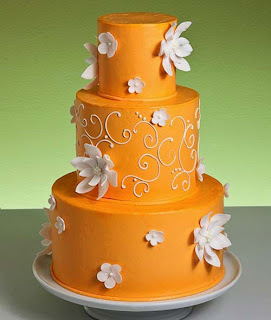 Three tier round orange wedding cake with dark orange and white sugar flowers. Three tier deep orange round wedding cake with white flowers and a white swirl pattern in the middle tier. 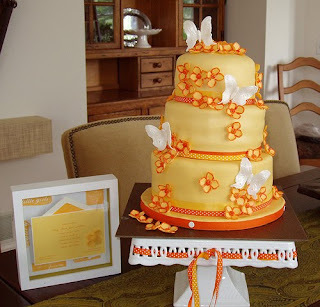 Beautiful three tier wedding cake with orange icing and orange flowers and large white butterflies. 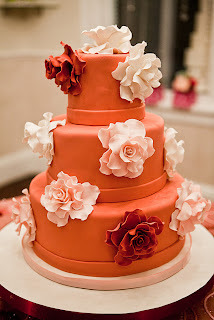 Bold orange wedding cake with white flowers. Three tier orange wedding cake with an assortment of flowers. 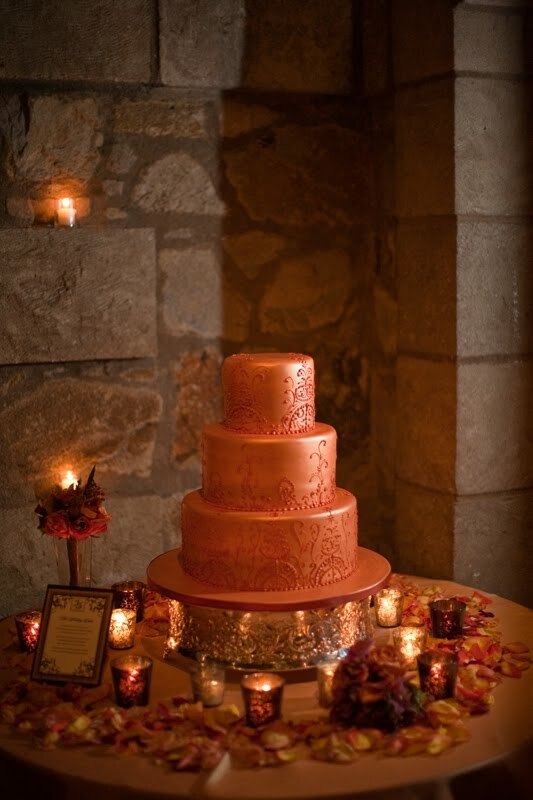 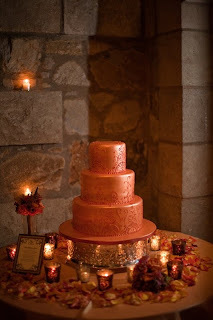 Gorgeous three tier patterned metallic orange wedding cake. Orange three tiered cake with small flowers.